Recently Silas and I tried our hand in making the ever so popular Cinnamon Applesauce Ornaments. 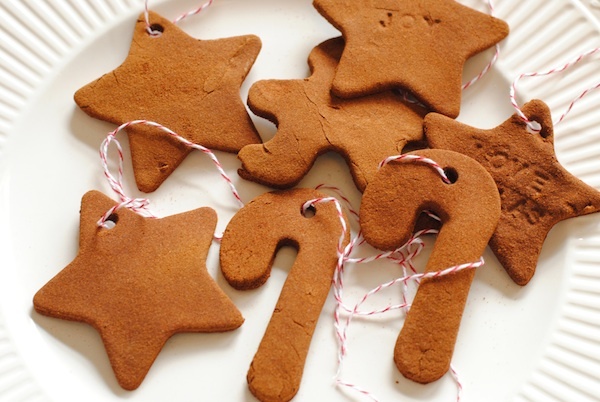 This is a simple recipe, a fun and great activity to do with kids (even two year olds) and it will keep your house smelling like Christmas for days. 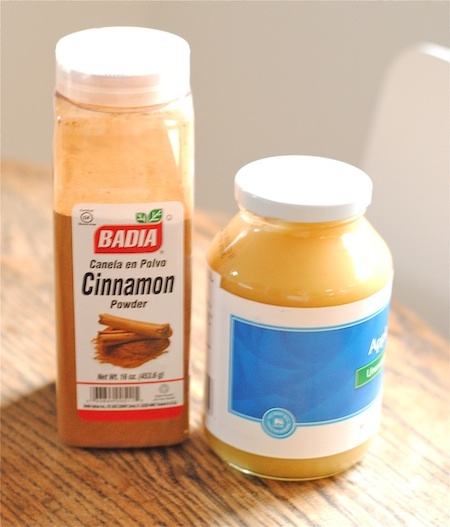 So first you just combine 1 cup of applesauce and 1 cup of cinnamon. Silas loved measuring everything out and being a big helper. 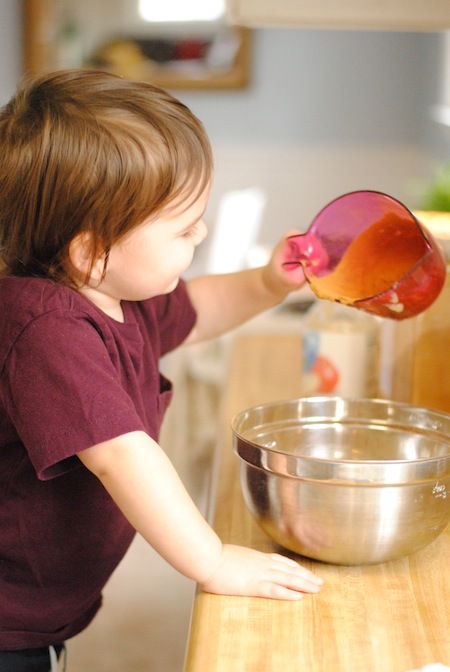 Then, we mixed and mixed the two ingredients together and Silas wanted to eat it. I'm pretty sure he took a couple of bites - this is one of the reasons we left out the glue (some recipes call for it). After we had a good dough-ish consistency we sprinkled some of the remaining cinnamon on our counter and rolled out the dough. Another favorite part for Silas. I didn't worry about a certain width for the dough, I just eyeballed it since he was so into this part. Then we just had fun using our cookie cutters and cutting out shapes. The star was Silas' favorite. We also used our little stamps on a few to write messages - we have several that just have the letter X since that was the stamp Silas insisted on using. Oh, don't forget to poke your holes for hanging, we just used a straw. We just had fun, made a big mess and made something together. We baked our ornaments at 200°F for about an hour and a half. They still didn't seem quite as hard as I wanted so I let them sit for about a week in a nice and dry place until they were as hard as a rock. 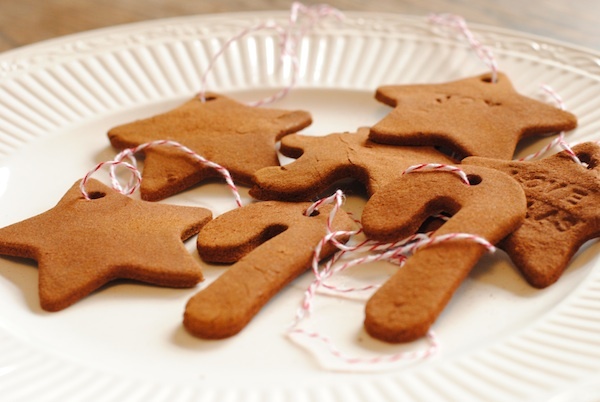 We finished them off with a little bakers twine and then Silas thought they were cookies so he took a bite. Needless to say he found it disgusting so one bite was all it took - these are totally inedible. Don't worry, I gave him a real cookie to make up for it. I thought this was a great craft to do with small kids, we had a blast! PS - Check out our Salt Dough Handprint Ornaments we made last year. Thanks for stopping by today and have a wonderful weekend!! I like them! The stars are actually my favourite too. Thanks Antonella! The starts are definitely the best! love these. and that little is just too cute. Thanks so much Nicole, we think he's pretty cute :). I linked up with you! Thanks for inviting me! I loved making these when I was a kid, we painted on some of ours too -- and they smell so yummy! Love it! Thanks for the walk down memory lane. HUGS!! There really is just something fun about making cinnamon ornaments :), thanks for stopping by! Haha, thanks Laura! We put them on the tree last night and Silas kept calling them cookies and taking them off. A two year old and a Christmas tree is a fun adventure! I love making these and have fond memories of them as a kid in school. I love the pictures of your son in action...too cute! Thanks Megan!! It was such a fun activity! These are cute, I've been wanting to make these with my kids. I'm a new follower from the GFC Blog Hop. Stop by my blog sometime and follow me too, if you like. Thanks Jennifer! It was such a fun activity with Silas! I will definitely stop by your blog! Thanks for following :)! I love homemade ornaments! 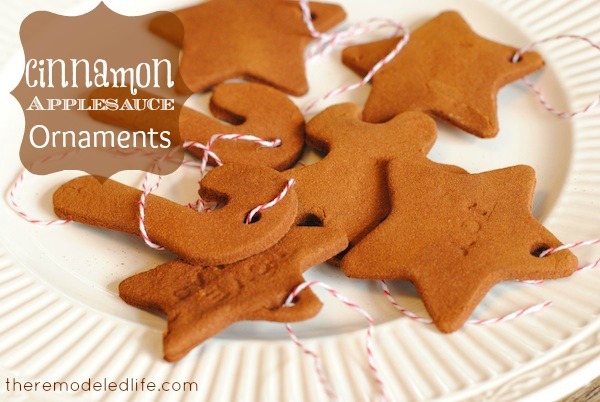 They always come with great memories:) I have never heard of cinnamon and applesauce ornaments, awesome! I am now following via GFC.